I know we're a wee bit into November already but I still want to do my monthly favorites from October! I really like the template that Meghan used over on her blog so I'd like to copy her. I hope she doesn't mind ;) If you aren't already, you guys should check her blog out! She has such a warm, funny and smart writing style. I know you'll like her blog as much as I do. Anyway, on to the favorites! If you don't already know, I'm beauty obsessed. I love makeup and skincare and trying new products and it's really becoming a problem because I'm running out of money and then some ;) I'm having a hard time thinking back through October for my favorite product because I just went to Nordstrom, MAC, and Sephora and got a bunch of things I've been trying currently. I'm going to be writing a haul post later this week if any other beauty obsessed individuals are interested. I think the product I've been using the most this October, and all of Fall for that matter, has been Bahama Mama by Essie. I think it's the most beautiful color for fall ever. It feels refreshing after wearing Lincoln Park After Dark for so many seasons. I won't wear another color I love it that much. 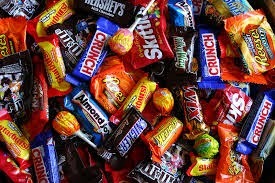 My favorite food this month would have to be all the festive food that comes with fall. Caramel apples, pumpkin spice anything, and Halloween candy of course! I'm gunna pick two activities as my favorites for October. 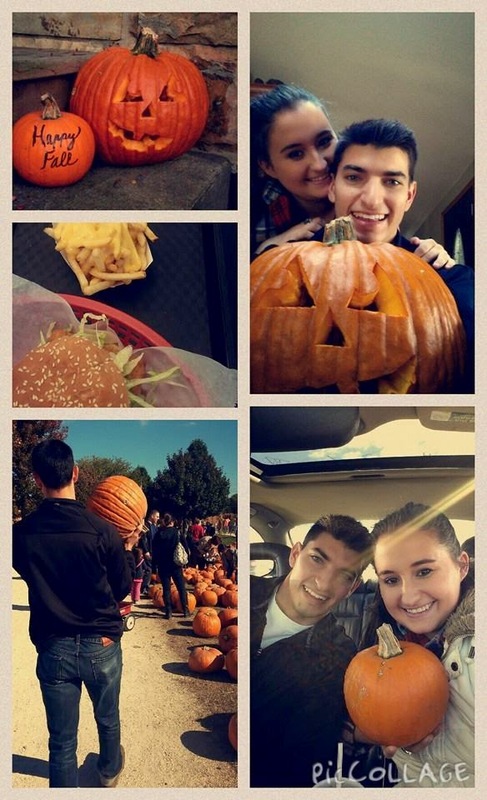 One definitely has to be the pumpkin picking & carving date my boyfriend and I went on. Definitely one of my favorite dates so far. & then the second would be the baths I've been taking lately. That might sound weird and kind of lame but I've really been making an effort this month to make time for myself and I have started a new tradition of Monday Night Baths haha. It gives me something to look forward to on Monday evenings which makes Mondays a little better. Especially when I use this stuff. My absolute favorite aromatherapy scent from Bath & Body Works. I could smell it all day. I have the candle as well and it really is so calming and relaxing. I'm totally obsessed. I need to get better at updating my "monthly" posts like favorites and recaps. I still want to do my November goals! Ugh, what a blogger newbie I am ;) Anyway, have a great & relaxing Sunday, all. Ooo I am loving that Essie color, totally going to have to try that one! 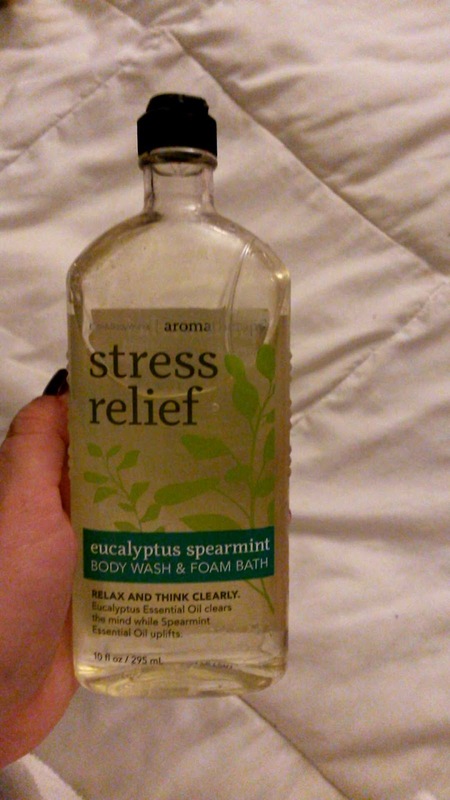 I love that scent from Bath & Body works, it is the most relaxing scent ever! !